The Wesleyan church grew out of the preaching of Richard Harrison in the barn of Llewerllyd Farm in 1798. There was a small following, and by 1805 there was only one member, Elizabeth Williams, Ochr y Foel, who was presently joined by her husband. The membership grew, supported by the Rev. G. Strong of Dyserth Church, and who taught the congregation in the Sunday School. In 1822 they built their own chapel. The original chapel, pictured above in 2006, was subsequently sold to the Council in 1901 and renamed Coronation Hall to mark the new reign of Edward VII. Psalm V 7 : "A minnau a ddeuaf i'th dy di yn amlder dy drugaredd ac a addolaf to a'th deml sanctaidd yn dy ofn di." By 1988 the Chapel had ceased to be viable, and the building was closed. The congregation joined with that of Bethel. 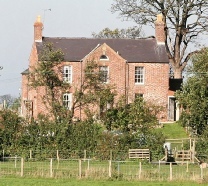 The building has now been converted into a private house. A document belonging to the late Mr. Rhys Roberts, chemist, of Dyserth gives the following information: The foundation of the Church - as a congregation, but no building - seems to have been in 1808. It is thought that the movement began through the preaching of one Robert Jones who was preaching and conducting a 'Circulating School ' in Rhuddlan in 1770. In Dyserth he started preaching in the kitchen of his lodgings, but his hearers became so numerous that the kitchen was too small, and crockery was broken. Th ey moved to the mill next door, but there was only one candle, and this went out. For the next few years there is no definite information about Dyserth, but there were notable open air preachers living nearby. 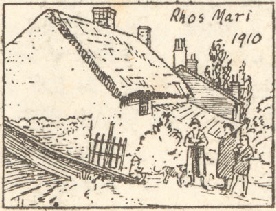 From 1800 to 1817 services were held at Rhos Mari (now Rose Marie), the home of Harri and Doli Jones. 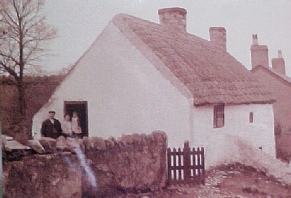 This cottage was used as the receiving point for the mail which came in from Rhyl. The earliest activities were preaching and running a Sunday School. Services were held in the loft, and moved later to a white-washed room downstairs, where there was more space, and they were able to hold the Sunday School, prayer meetings and the Seiat (fellowship, or meeting). In 1822 the Minister, the Rev. Thomas Jones died. He had owned a piece of land in Dyserth. The chapel was able to lease this, and it formed part of the present site. A chapel building was erected, next to the Red Lion. In the following years the congregation expanded and the chapel was extended in the 1840s. By 1869 more land was needed, and an application was made to William Shipley Conwy, of Bodrhyddan Hall, who granted them the land "free and forever". On Friday 5th of July, 1867 the whole membership of the church and Sunday School (over 300) marched to Bodrhyddan to thank him, and the children sang to him on the lawn, as a way of expressing their thanks. William Shipley Conwy was so touched that he gave them £5 for the fund, and they went back for a Tea Party and general meeting that had been organised. 1869 saw the opening of the newly extended Bethel Chapel, with seating for 380 people. The chapel is said to have cost £1300. £600 of it was paid off straight away, and on January 1890 they celebrated the final payment. In 1988 Mynydd Seion closed and the congregation joined the one at Bethel. 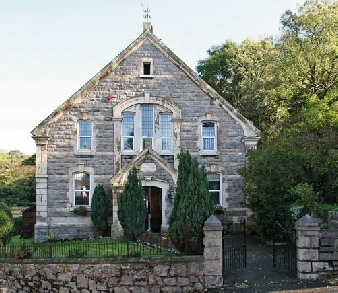 This chapel in turn closed in 2002 and the Welsh Presbyterians from Bethel now share a building with the United Reformed Church in Upper Dyserth. In 1843 the Union of Welsh Independents established a chapel, known as Horeb Chapel, in Ochr-y-Foel - now Upper Dyserth. Mr David Humphreys was the first minister, and services were conducted in Welsh. After 1871 the Welsh-speaking congregation had dwindled to two or three. But Dyserth was expanding, and there was an influx of English-speaking people, and this created a demand for services in English. 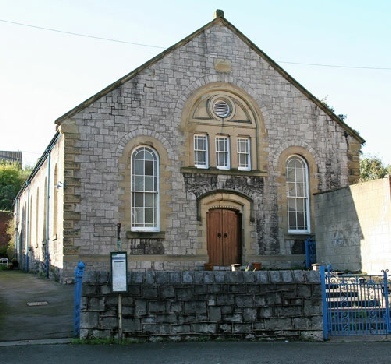 Horeb Chapel was admitted into the North Wales English Congregational Union in 1906, and became the English Congregational Chapel. There were not only church services there but also a Magic Lantern show every Friday evening. The Friday meetings were especially popular and may well have contributed to the growing attraction of the chapel. By 1923 the chapel had become too small for the growing congregation and a new building became necessary. A parcel of land adjoining Horeb was acquired and a stone-laying ceremony was held on October 26th 1926. Reverend Ben Williams, the first Pastor of the church, laid the first stone, placing underneath the stone a lead envelope containing three sheets of parchment containing a history of the church since its formation as an English Church in 1906. Horeb Chapel was sold. It is now a fish and chip shop, but the plaqu e high up on the outside wall remains. On April 7th, 1927, the formal opening service was held in the new chapel. 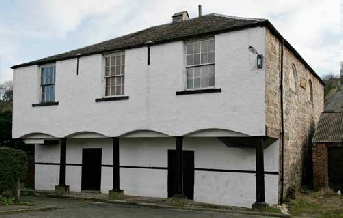 In 1928 a schoolroom was added. This was of timber on brick foundations, with a corrugated asbestos roof, and fitted with electricity. In March 1936 there came an unexpected offer of an organ which had been installed in a private house in Birmingham and had to be disposed of immediately. A deputation was sent to examine the organ and a price of £275 was negotiated. The day after the 2nd World War broke out a meeting of Deacons took place and such matters as the blacking out of church windows, the time of the evenuing service and the war effort were discussed. In October 1939 it was agreed that the school room could be used as a Day School for evacuees from St Xavier Roman Catholic School in Liverpool. The War and Post War years saw a succession of ministers with various successes. The church grew in strength under the care of W.H. Clark. However, one later minister left the church after a crisis of faith, and another was asked to leave by the deacons because of alleged nefarious dealings with parishioners' property. There was also a short time with Miss Daisy Pearce, a former missionary in China and Formosa. In 1967 a new schoolroom was built, replacing the one from 1928. It was named the Paterson Memorial Hall in memory of the Rev. E.D.Paterson who had played a large part in the church’s history and died the same year. It is behind the Chapel in the photo above. At this time there was much discussion over the proposed Union between the English Congregational Church and the Presbyterian movement in England. In 1971 a vote was taken in favour of the scheme of Union and in 1972 the English Congregational Church became part of the United Reformed Church and this building became known as Dyserth United Reformed Church. In 1993 it celebrated its 150th anniversary. 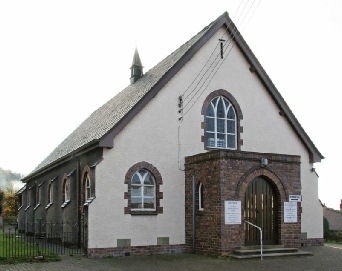 Since the closure of Bethel Chapel in 2002 the building has been shared with Bethel Presbyterian Church of Wales. 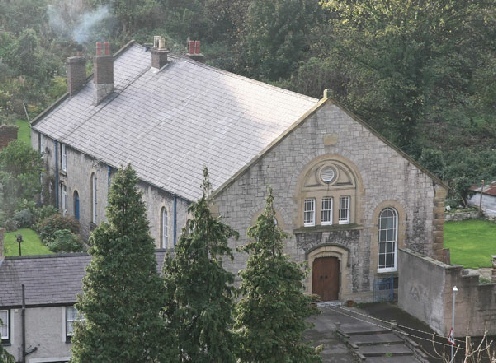 In 2006 the name 'Horeb' was revived and the building was renamed Capel Dyserth Chapel.